Flower button for Cameron the Cat - May design. 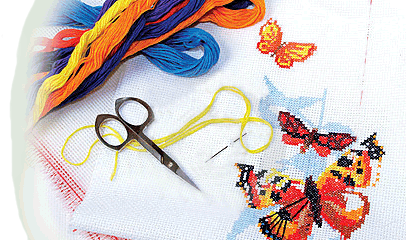 Flower button for collectible tin A Stitch in Time design. Flower button for May Heartstrings design. Flower button for Spring is Hare design. Flower button for Hummingbird design. Flower button for Purses design. Flower button & Fizz for Don't Worry design. 3 flower buttons for Memories design. 3 Flower buttons for April Showers design. 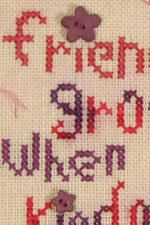 2 purple flower buttons for Friends Grow design. Flower button for Flower Power design. Embellishment pack for Frankenstein Standup design - one of our Seasonal Standup Series. 2 green glove buttons for Be Thankful design. Golf ball Button for Malcolm the Moose Golfing Moose and Golfing Snowman ornament. 12 Buttons for Grandma Angel book - star, present & 10 gingerbread men. Flower button for Happy Spring design. Hat badge button for Malcolm the Moose - Army Moose design. Black bat button for Haunted Window design and for Haunted House tin design. Heart button for Forever Love design. 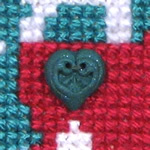 Heart button for Winter Snowman design. 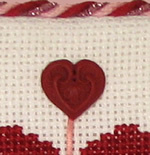 Heart button for February Heartstrings design. Button pack for Heart of Hearts design - from our Heartstrings series. Blue heart button for Heart Wreath design. 4 round stoneware buttons for Hearts design. 4 heart buttons (2 purple and 2 green) for Hearts Entwined design. Hockey puck button for Malcolm the Moose - Hockey Moose design. Holly button for Christmas Cupcake design. Bird and star buttons for Home Tweet Home design. Stocking button Jolly Santa design. Kite button for High Flyin' Kites design. Kite button for the All Stacked Up Kites and Bluebird design. 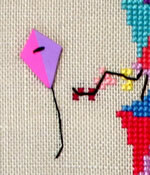 Kite button Cameron the Cat - March design. Ladybug button for Summer Round desigtn. Ladybug button for Tulips design. 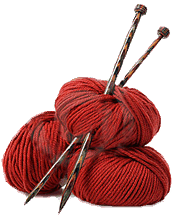 Button for Ladybug Sampler design.